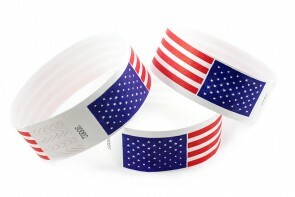 USA Flag tyvek wristbands for those patriotic events held in America. Proud to be Americans and showing others their love of freedom. The USA Flag Tyvek wristbands allow you to show your patriotism and work well for functions such as Forth of July picnics, Veterans ceremonies, or any function where American pride is called for. The size is 1" x 10" and fit adults as well as children. 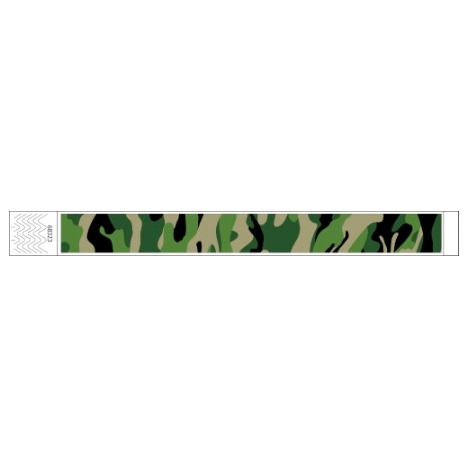 Each wristband has tamper proof slits cut into the Tyvek material and backed by an aggressive adhesive. 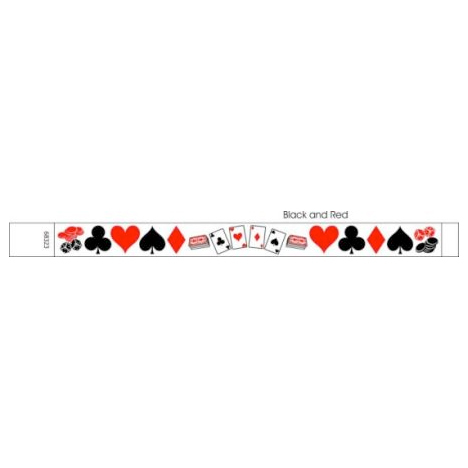 They are offered in consecutive pre-numbered fanfolded stacks in boxes of 500 for excellent inventory control. Application is easy. Simply remove the covering from the adhesive, wrap the wristband around the wrist, and adhere it onto itself. Should someone attempt to peel it back in an effort to apply it to another person, the adhesive holds tight to the Tyvek material and the tamper proof slits shred apart making reuse almost impossible. These really do work well. 1 Quantity = 500 Wristbands. Quantity Discounts apply at 10 boxes or more. Discounts are processed by the shopping cart and applied upon checkout. Thank you for choosing Discount Wristbands. We appreciate the opportunity to be of service to you.